I have been involved in international standards since about 2008. In 2009 as a relatively new itSMF Director and a total standards greenhorn, I went on a ‘mission’ to an International Standards meeting in China to gain an understanding of what was happening in the service management standards space. itSMF UK had been lobbying for involvement from other major chapters and there were significant concerns at the time about groups without service management understanding unduly influencing our global best practice standard. ISO/IEC 20000 was published in 2005 and it was the first global service management standard. To be certified against ISO/IEC 20000 an organisation is audited against a set of processes which span management, governance and service management. It is a ‘management system’ standard like ISO9001 the quality standard, which means that it provides a model for setting up and following a system of management. Like all standards, it is created by international consensus, through a series of drafts, contributions from involved countries, reviews and country ballots. ISO works much like the United Nations in that respect. You don’t have to follow any particular methodology to gain ISO/IEC 20000 certification, but its roots are in ITIL. Since 2009 I have been Australian representative to ISO on Service Management working group. That involves gathering and agreeing Australian opinion on proposed changes and additions to the standard and its parts. itSMF is the peak body in Australia which has input to service management standards, in common with ITSMF chapters globally. I am also involved with an ISO group for IT standards for Very Small Entities—which is of interest to Australia with its many small businesses. Some of the most active contributors are UK, India, China, Japan, Korea and USA. All except China (no itSMF chapter) have itSMF members on the international committee. I also represent Australia on an ISO group for IT standards for Very Small Entities – which is of interest to Australia with its many small businesses. They are proposing a new standard which includes service management elements for VSEs, which will be hotly debated before an Australian position is reached. Claire Brereton is the principal of Brereton Consulting, and founded the company in 2008 after working as an CIO and running major IT programs in diverse industry sectors including Healthcare, Financial Services and Manufacturing. Her contribution to the industry has recently been recognised by her peers when she was honoured with the title of FACS (Fellow of the Australian Computer Society). 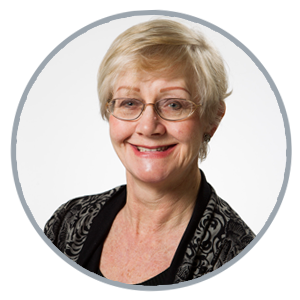 She is a GAICD (Graduate of the Austrlian Institute of Company Directors), ITIL Master, certified ISO/IEC 20000 Practitioner and PRINCE2 Practitioner.